In a recent notice, the Jawaharlal Nehru University (JNU) administration has stated that they intend to provide mechanised laundry services for students and campus residents in the JNU campus located at New Delhi. There are 20 bachelor hostels of which are nine boys and six girls’ hostels, four common hostels and one married hostel and approx., 6900 students. "Over and above, the 4500+ residents of the campus can also avail the laundry services. The contract will be initially for two years extendable for the period of up to two years on mutual agreement subject to the satisfactory performance," the notice said. Initially, the administration said that the institute will provide the space for collecting the clothes on license fee as per the University rules and other charges like electricity water & maintenance. The agency/firm that they get into a contract with, can use the space for receiving and the delivery of clothes from the doorsteps of the campus community and take the same to their nearest service to centre for washing and pressing. The notice added, "After six months observation the agency may be allowed to establish the service centre in the campus and install the high-end washing machines, dryer, electric iron facility, and other equipment/accessories as may be necessary for running the laundry services. The Agency/Firm shall bear all the expenses including water and electricity for running the in-house mechanised laundry services." 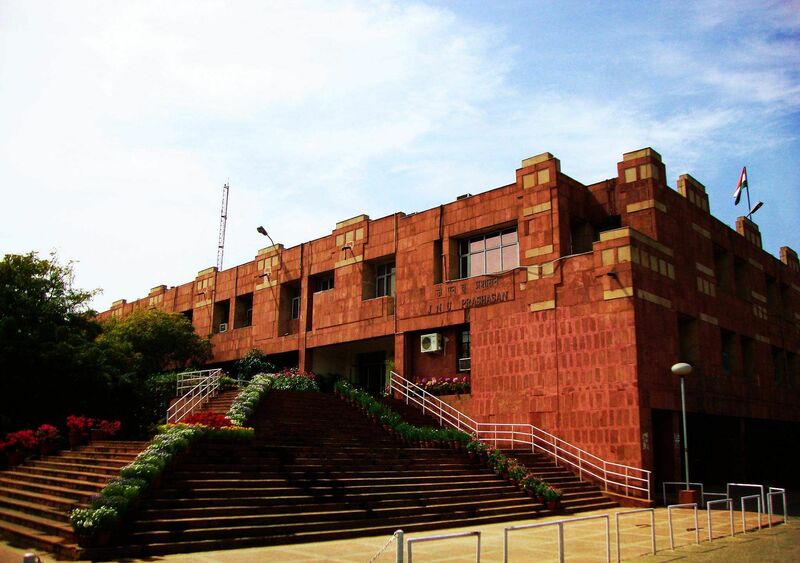 The student organisations along with the students in JNU have criticised this move claiming that this is another one of the Vice-Chancellor's aggressive attempts at privatising the university. "This time he is after the laundry workers on campus. It is a known fact that students of this campus come here to be able to access affordable higher education and often come from extremely humble economic backgrounds. All the services that are offered, from food to laundry to dhabas, keep their prices subsidised so that living on campus is sustainable. In turn, the shops and dhabas also pay subsidised rents. This Vice-Chancellor would like to ensure that the campus becomes his money minting machine and education here becomes a commodity that only the privileged can afford. First, it was about introducing a food court. And now it is laundry services. Pray tell me, why would students, who can't even pay their mess bills on time because they don't receive their scholarships regularly, want to avail 'laundry services' from a private agency?" asks Apeksha Priyadarshini, a member of the Bhagat Singh Ambedkar Students' Organisation. Apeksha states in one of her Facebook posts that we have to raise our voices and stand together as the JNU community against these drastic attempts at profit-making. "Not too long ago I was having a conversation with the dhobi bhaiyya near my hostel. He was being forced to return home to his village with complete uncertainty because he was unable to make enough to make ends meet for his family. It is extremely difficult already to earn enough, with soaring prices of basic amenities in the market. In one swoop, this Vice-Chancellor would like to wipe out the means of livelihood for so many people like him, just so his pockets and the pockets of his stooges are filled," she adds. She urges the student community and other people as well to look at the larger picture of how this move by the JNU VC is another step in "fundamentally transforming a public funded university into a commodity that can be auctioned to private sharks."